Up until now, I’ve been billing myself as a social media specialist. I’ve worked as a social media manager, and I’ve done some consulting work in social media for small businesses. But the truth is, I am losing faith in social media. Lately, I’ve felt that social media is used far too much for marketing; it’s turned into an echo chamber (especially Facebook); and its value for providing engaging content has dwindled. I have written about social media marketing on this very blog. It has been, after all, my métier! But while I practiced social media marketing in my professional life, I find myself being put off by it in my personal life. Every time I log into Facebook, Twitter, and even Instagram now, I am faced with ads. This, of course, is completely to be expected! How else are these platforms going to make money to develop for their users? But what irks me is the way advertising is done. Facebook right-hand column ads are notoriously bad. Twitter “promoted tweets” are hardly better. Instagram’s sponsored images are, at least, a little less annoying, since the images are usually nice. But for the most part, the ads are tacky, tasteless, and irrelevant–or worse, tastelessly relevant (one particularly badly timed ad for baby clothes showed up after I had had a miscarriage). To be fair, that’s mostly because the people advertising have no idea what they’re doing, or how to target their ads. It’s no wonder management are constantly doubting the ROI potential of social media advertising. Most brands get it wrong. Then there are the brands that pay so that their content shows up in my newsfeed. There are very few brands that inspire enough enthusiasm for consumers to actively engage with them. Nike and others are the exception to the rule. For the most part, the promos, Facebook contests, and “relaxed language” that brands try to use in social media fall very flat. It’s artificial, forced, and awkward. All things that are poison to social media users. This mainly applies to Facebook, due to their filtering practices. As soon as you like one or two baby pictures, wedding announcements, or articles of a feminist nature, that is all that you see in your newsfeed. Just because I got married, had a kid, and have feminist sympathies, does not mean that I want to see only wedding shots, baby photos and articles about why the heating in my workplace is inherently sexist. Looking at my Facebook feed, you’d think that breastfeeding mothers are being expelled from dining establishments all across North America. I can tell you that I’ve been breastfeeding in public on a regular basis for more than nine months (and in more than five countries!) and no one has ever asked me to cover myself up or nurse my child elsewhere. It seems like Facebook is targeting content at me based on what its algorithms think will delight, incense, outrage, move, and otherwise scintillate me. On the contrary, I now find Facebook extremely boring. It’s a sad, uninteresting person who only wants to hear their own ideas and opinions shouted back at them. There is no back and forth, no debate (I don’t count people hurling insults at each other and spewing vitriol as debate), and very little room for thoughtful interaction. I’d much rather have a face-to-face conversation over a coffee, than kill even 5 minutes on Facebook. I’ve called myself a social media specialist. I’ve maneuvered myself into this niche of online content marketing. And yet I find it boring. The one social media platform I enjoy spending any time on is Instagram, and that’s because my closest loved ones are there. I keep my profile private, and share moments of joy from my daily life with those I love best. But other than that, I’m over Facebook, Twitter, and the lot. So what do I do now? Career change? I can’t very well market myself as a social media expert when I spend very little of my own time there. Well for the moment, I cannot be said to have a career. I’ll just have to continue writing (which I do like), trying to read broad and varied content, and keeping up my knitting, which is a great way to meet new, and interesting people. Is there any way I can make meeting people through crafts my career? Any ideas? As a small business owner you’ve probably heard a million times that you need to be on Facebook. It’s true: there are numerous benefits for small businesses to be on social media, including relationship marketing and promoting fun content to your local audience. But changes to Facebook’s algorithm make it harder for your content to reach your fans (even those who have voluntarily liked your page!). It’s practically become a requirement for businesses to advertise on Facebook in order to get their content out there, despite doubts about how effective it really is. That being said, you cannot ignore Facebook. Know the realities and the restrictions in order to best plan how to use Facebook advertising for small business. The 3 key elements to getting your marketing strategy right on Facebook are to 1. Know Your Audience, 2. Clearly Define Your Goals, and 3. Test, Test, Test! As a small business owner, you know your audience better than anyone. They come into your storefront every day, and if you’ve installed Google Analytics on your website you’ll know a bit about your online visitors, too. It’s no different on Facebook. Invite your customers to like your business on Facebook. Then, try out different content and offers on your page to learn what your fans enjoy, and what kind of media they like best (photos, links to articles, videos, etc.). Knowing your audience and what gets them ticking is key for two reasons: knowing what to advertise on Facebook and knowing how to target your advertising. As you surely know, your marketing goals need to tie into your overall business objectives. Before you start running any Facebook ads, know exactly what your goal for the ad is and how it’s going to contribute to your business objectives. This will help you determine your budget. Facebook’s latest updates to its platform makes it easy to set your objective for your ad. Your options include advertising for engagement, clicks to a website, website conversions (purchases, signups, etc. ), event responses and more. One great new option for small businesses is to advertise for offer claims. If your clients on Facebook respond well to promotions like 30% off for a day, then this is a great way to promote special offers or coupons. Now is when targeting your ad correctly really becomes important. Facebook offers great targeting options by location, age, gender, interests and behaviors. Since you’ve already done the exercise of getting to know your audience, you can easily set up targeting by location, age and gender. Interest targeting helps identify people in your area who have similar interest to your fans, and who may also be interested in your product. Targeting by behaviors helps you find people who like to buy things online, or who post a lot of photos, for instance. Be careful when narrowing your target audience: Facebook will let you know if your audience is too narrow or too broad. If it’s too narrow, you risk no one seeing your ad! In order to track how well your Facebook advertising is performing, read these Social Media Examiner tips for tracking return on investment (ROI) for your ad campaigns. You can also create unique URLs for links to your website to help you measure how many clicks you’re getting on Google Analytics. 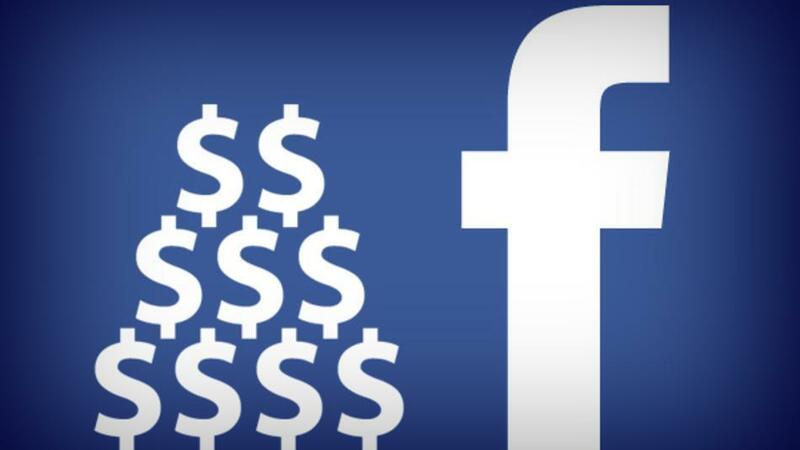 WARNING: Avoid Paying for Page Likes! It’s not just this video that has put me off from paying Facebook to acquire page likes. In my experience, promoting your Facebook page in order to get more likes usually results in lower overall engagement on your Facebook posts. Stay focused: promote individual posts, website conversions or something more concrete than just likes. Besides, can you really say what a Facebook like is worth? Exactly. The only way to make sure that you’re getting the best results from your campaigns is to constantly test your ads. Using your tracking information, find out how your ads are performing. By setting up Ecommerce tracking in Google Analytics you can find out how much revenue each ad brings in. Another way to test the performance of Facebook ads, according to Mashable, is to first optimize your ads for engagement. Based on the success of your ad’s engagement, you can then optimize the ad for reach (meaning, how many people see your ad). What Facebook has on offer for small businesses and advertisers is constantly evolving. If you’re thinking seriously of investing in paid advertising on the platform, take time to read through the Facebook for Business page. Other resources like Social Media Today can be helpful, and discussing with other small business owners can help you get an idea of their experiences and successes (or not). In any case, it’s important to be on Facebook, but sadly this “free” platform is getting more and more expensive.